As you enter Russell you will see a breath taking view of Fossil Lake! Fossil Lake is located along US Hwy. 281 and right off of I-70. 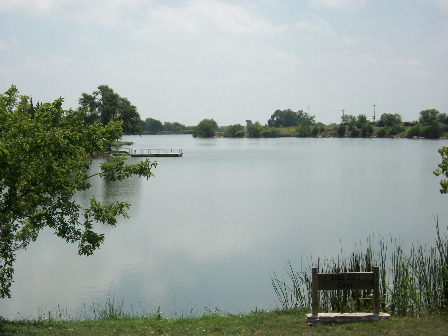 The lake sits just South of town and is the first thing you see as you enter the town on the South side. 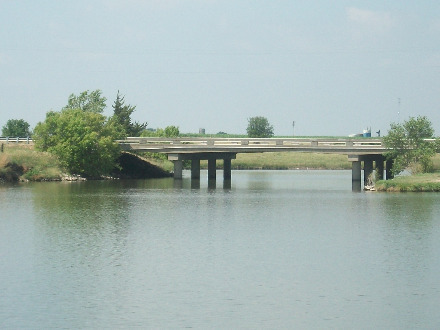 As you travel along U.S. 281 you will drive over the bridge that sits over Fossil Lake and it takes you straight into Russell. You can find many locals fishing and enjoying the beautiful scenery of this gorgeous lake.